This summer has provided the most convincing evidence for why lawn sprinkler installations are important for maintaining healthy, happy lawns. A properly-installed lawn sprinkler system not only will help prevent summer heat and drought from crisping your grass and turning your yard into a brown carpet, it’ll save you time and money while adding value to your property. 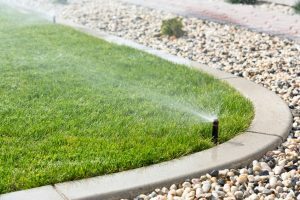 Some homeowners try to save money by using above-ground sprinkler systems that require dragging hoses around the yard and constantly adjusting a number of rotating or swiveling sprinklers in an attempt reach all the grass. Often this is a futile exercise that just wastes the homeowner’s time and money with expensive water bills and frustration. If this sounds like you, you’ll be happy to hear there’s a better way: a professional in-ground lawn sprinkler installation. If you think “that’ll be too expensive”, think again – a temporary, drag-around above-ground system will cost you more in the long run through inefficiency and ineffectiveness. Summer’s upon us and that means ensuring that your lawn and gardens get the moisture they need to survive and thrive during hot, sunny weather. If you’re still thinking about installing an irrigation system, it’s not too late. But the longer you wait the greater the risk you run of damaging your grass and other plants. head-start on proper lawncare, but also because sprinkler system installers start lining up installations once the snow melts. At Mike Lynch Enterprises, we understand the importance of a sprinkler system and flexibility in our schedule is a must to accommodate last-minute irrigation system installation requests. 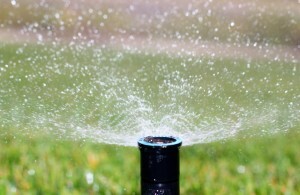 Properly installing a lawn sprinkler system is key for maintaining a lush, healthy lawn. An effective, efficient in-ground lawn sprinkler system also adds value to your property while reducing water consumption and saving you, the homeowner, wasted time and frustration. 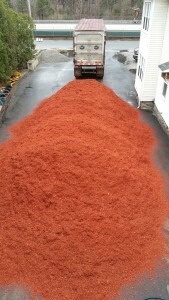 Bark mulch is one easy way to make your residential or commercial property look fantastic in the early part of the Season. Rich colors and uniform texture are two of the factors that contribute to the visual appeal of bark mulch. Defines areas. Have you ever planted a garden only to watch it get trampled or mowed down? Using bark mulch can prevent you from experiencing such a traumatic event. People are more likely to walk through patches of grass than they are to tread all over your garden, so use bark mulch to create a distinct visual difference between lawn areas and garden areas. This also creates a great curb appeal, by defining a lush green lawn against a wood line. Prevents weeds. Weeds can be unsightly and choke out the plants you actually intend to grow. After you plant your garden, add bark mulch to cover the ground layer, but allow your plants to stick out through the surface. This will prevent sun from reaching weed seeds and sprouts that are lower, and without sun, the weeds are less likely to thrive. Central Massachusetts is known for having some of the worst winter weather in southern New England – when Boston and the South Shore are getting rain, we often get freezing rain, ice, and snow. If you’re a business owner, it’s vital to stay on top of winter weather and keep your commercial property clear of ice and snow and safe for both employees and customers. If you can’t get your workers and customers in and out of your property safely during inclement weather, it can impact your bottom line. Keeping your business ice-free is not just good for business – keeping your commercial property free of ice and snow can save you time and money by minimizing the possibility of accidents and law suits. Winter in New England is no joke. Last year’s brutal winter weather caused Massachusetts businesses to lose an average of 24 percent of sales, according to the Retailers Association of Massachusetts, with restaurants and retailers being hit the hardest, losing as much as 50 percent of their business. The success or failure of any business depends on being able to stay open and operating, and that means keeping sidewalks, driveways, and parking lots clear of snow and ice for employees and customers. 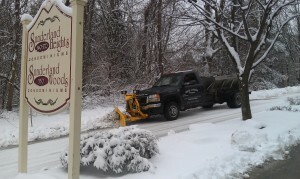 If you own or operate a retail, commercial, or industrial business in central Massachusetts, you can’t afford to depend upon some fly-by-night snowplow service to keep your business open when winter’s nastiest weather hits. 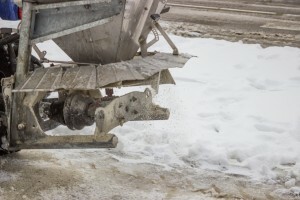 Commercial snow removal is more than just owning a pick-up truck with a plow – it’s having vehicles fully-maintained and ready to roll at a moment’s notice. When the warm-weather growing season for your lawn ends doesn’t mean it’s time to forget about your lawn irrigation system. Fall’s the time to make sure you properly prepare your irrigation system for the long, cold winter ahead. In fact, irrigation system winterization is one of the most crucial maintenance tasks you need to do for your residential or business lawn irrigation system. If your lawn sprinkler system is not winterized you run the risk of having the lines, sprinkler heads, and backflow preventer valve freeze and crack, which can not only incur significant repair costs but prevent you from getting an early start on beautifying your lawn at the beginning of the critical spring growing season. Unfortunately, some people believe that because in-ground lawn irrigation systems are made out of flexible PVC (plastic) tubing, their irrigation system will flex with any freezing that occurs and not suffer serious damage. Not having your irrigation system property winterized; it will for sure incur an expense and hassle that can be easily avoided with an irrigation system shut down and pipe blow-out – a process that introduced pressurized air into the system to remove any leftover water to prevent freezing. 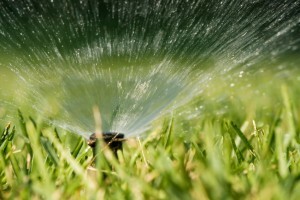 By thoroughly blowing out and winterizing your irrigation system, you’re lawn irrigation system. Nothing is more critical for life on earth than soil – without it we could not grow the crops we need to sustain us. Different plants require different growing conditions and soils and one of the most essential is loam. 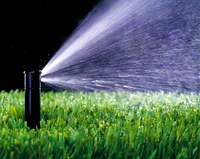 Irrigation systems – or lawn sprinkler systems, as they are often called – can be highly efficient solutions for ensuring that your lawn and gardens stay healthy and green all season+ long. However, improperly designed and installed irrigation systems can waste energy, water, and money. Some homeowners, in an effort to save some money, attempt to install their own in-ground lawn irrigation systems, but without design and installation experience, their results can be far from satisfactory. Most homeowners don’t realize it, but an irrigation system is an underground configuration with pipes, valves, electrical connections, and controls. Not surprisingly, there’s a science to properly designing, installing, and maintaining an irrigation system. What happens to sprinkler systems in the winter? A question we often get from homeowners around this time of year is “what happens to sprinkler systems in the winter?”. The short answer is “hopefully nothing”, provided the sprinkler system was properly prepared for cold weather. The biggest potential problem here in New England is that an improperly prepared lawn irrigation system can freeze, cracking the pipes an damaging the system in other ways. 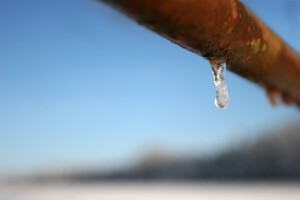 Depending on where you specifically live, a harsh winter with extended periods of time below freezing can cause the ground to freeze at or below the level of the sprinkler system pipes. If the system is not drained in the Fall, any water remaining in the lines can freeze. Water, of course, expands when it freezes, which can put a strain on the pipes and cause them to crack. In a worst case scenario, a hard freeze can even cause fittings to burst, sprinkler and pump cases to split open, and valves to crack.